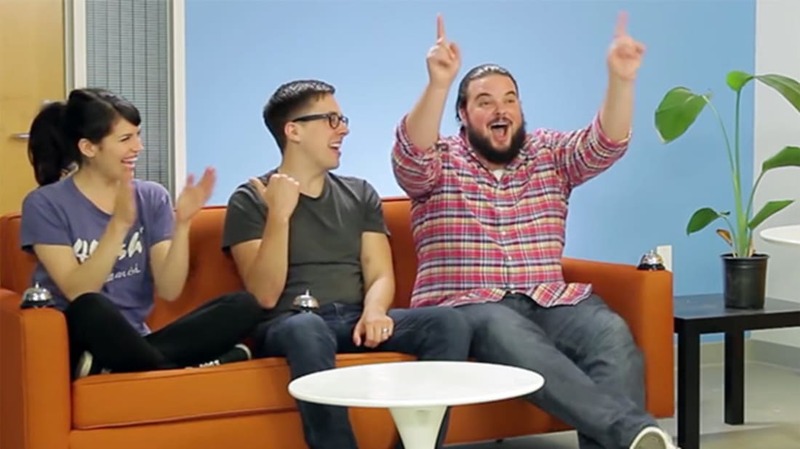 I have a new guilty pleasure: a CollegeHumor YouTube show called Um, Actually. The rules? Three geeks are presented with a complex statement about something geeky and/or nerdy, and must buzz in (ding in, really) and make a painfully minor correction to the statement. All responses must be prefaced with the phrase: "Um, actually...."
Language note: There is some cursing in these videos, so you'd be advised not to play them at work without headphones. The pilot. I think the host maybe mispronounces "Daenerys," but I'll let that slide. The Jedi question is such a gimme. The depth of Robert Jordan knowledge here is impressive. Well played, gentlemen. The show bills itself as featuring nerds. Um, actually, they're geeks.